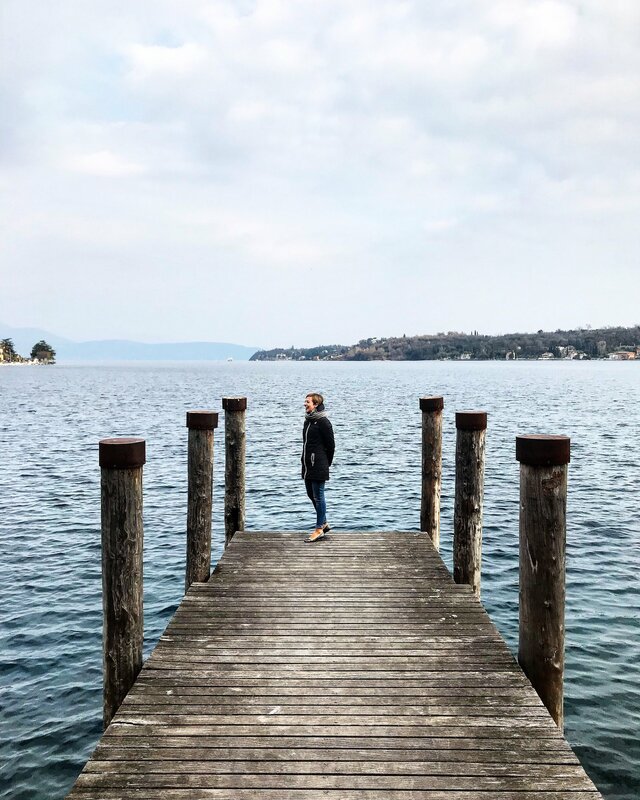 As most of you probably already know, Lake Garda is the largest in Italy. Because of its mild climate, the flourishing vegetation and the luminous landscapes it could be also considered the most charming lake too. Nevertheless, all the historical remains scattered all over the zone make the sceneries even more beautiful and interesting. The regions wet by its water are three: Veneto, Lombardia and Trentino Alto Adige. For the sport lovers, sailing and windsurfing make Garda famous all around the world. Anyway, there are plenty of activities you can do: horse riding, golf, mountain biking, kite surfing, canyoning, trekking and climbing. Least but not last, this zone is famous also for its food and wine, its nature, its wellness offers and Gardaland (a theme park perfect for family). In the end, it’s a getaway that could be interesting for different reasons. But what can you see in a weekend? Here is a list of the pretty cities you can visit. This could be considered as the most touristic city on the lake. Located on the South shore, it’s a pretty old town that emerges at the end of a small peninsula. As it gets quite busy during the day, we suggest to visit it in early morning or late evening to better enjoy its corners. The main attractions are Grotta di Catullo and Rocca Scaligera Castle. 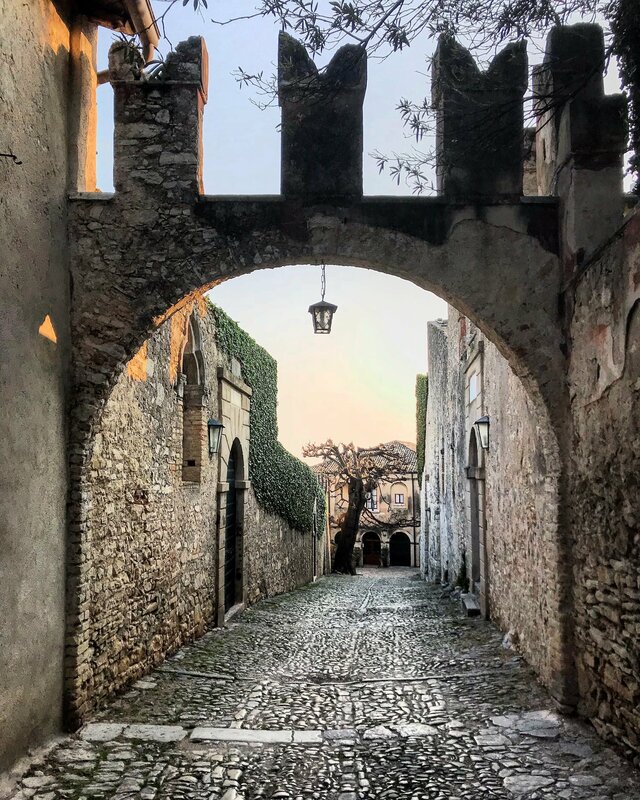 You cannot enter in the city center so you can reach Sirmione by boat or on foot leaving the car at one of the designated parking areas. 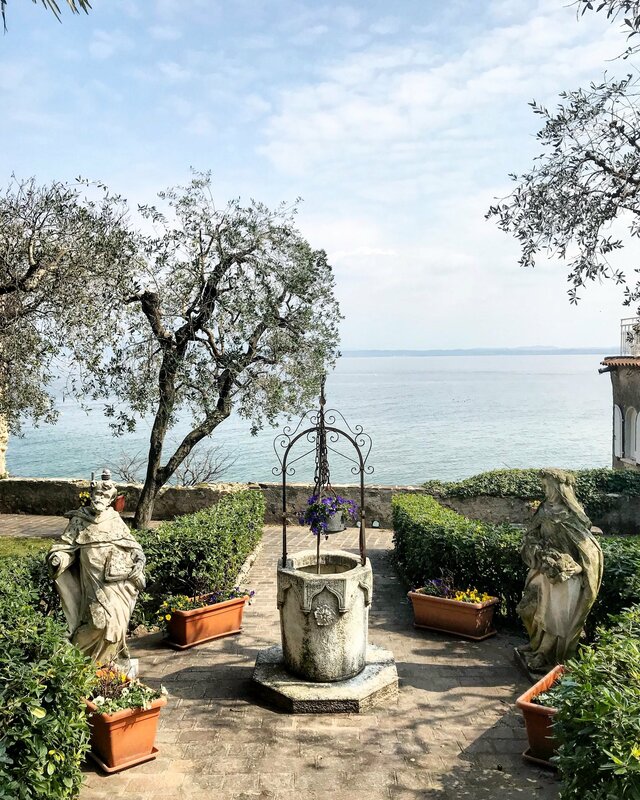 Salò lies on the south-western shores of Lake Garda in a small gulf area surrounded by hills and mountains. The fame of this town derives from the Salò Republic, founded by Mussolini during the year 1943-1945. Aside from that, I prefer to think about the longest promenade it has. Moreover, the city center is full of pretty cafes and shops that are very authentic. 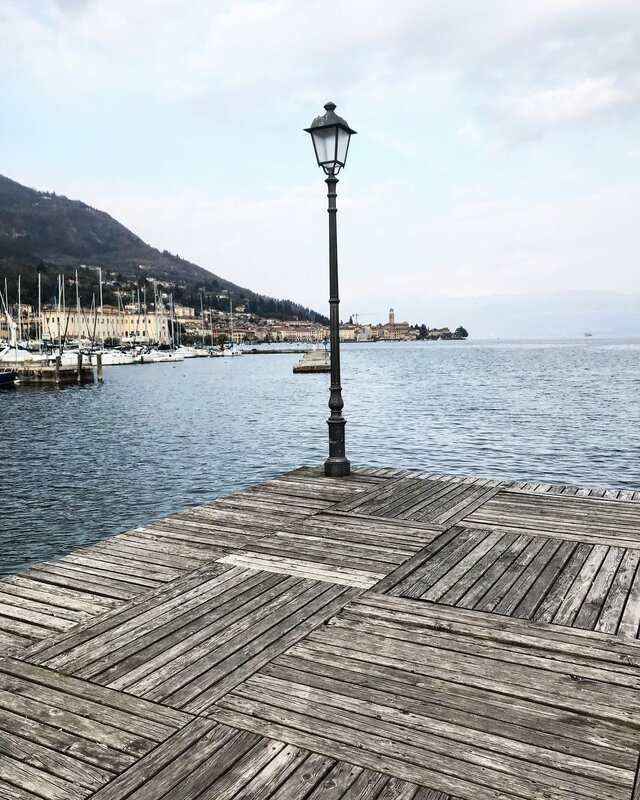 You can enjoy an aperitif in one of the many bars that overlook the beauty of the lake. Here my local friend Bertuc shows me around. Her profile has the best shots of the Lake. 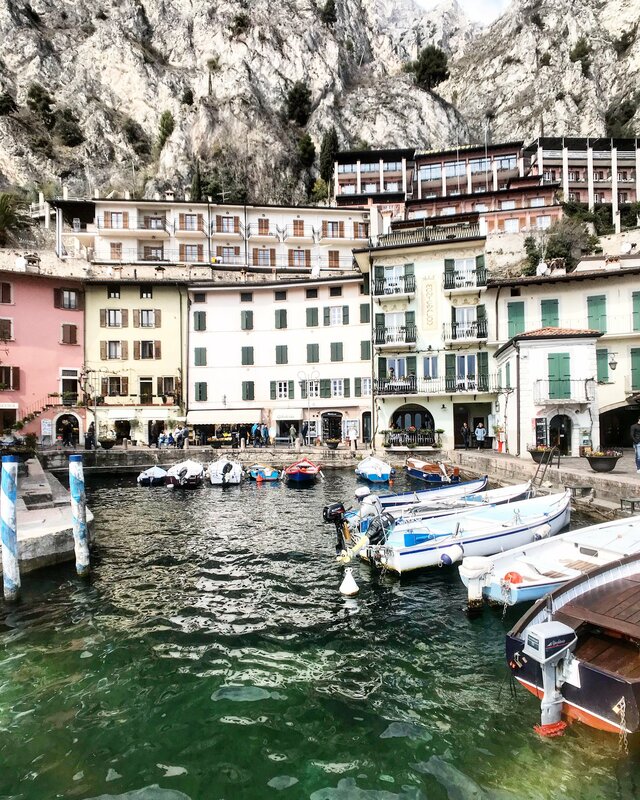 Limone is the most amazing city in Garda Lake but that’s my personal thinking. I fell in love with the waterfront promenade and the very cozy old town. Moreover, as the name suggests, it’s famous for the lemons cultivated in the coast area. 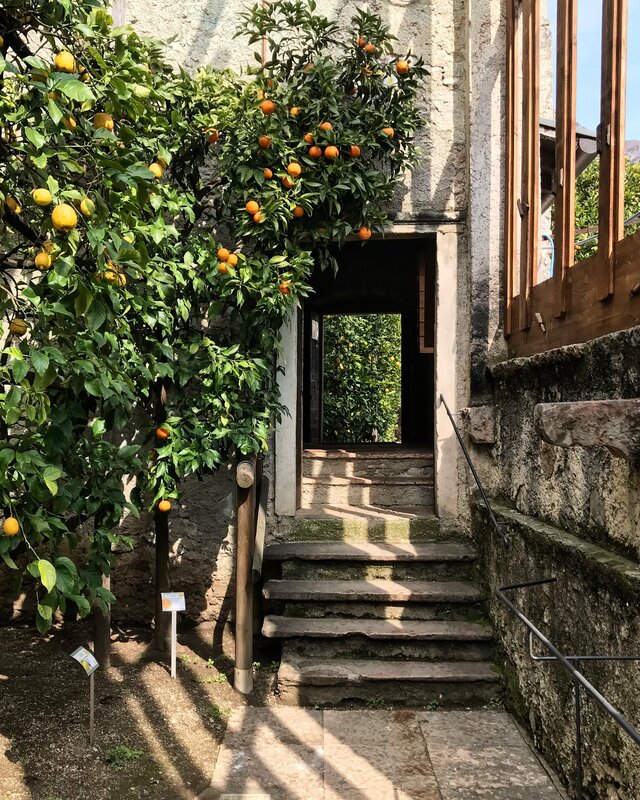 Limonaia del Castel is a touristic attraction that shows a little bit about the history and the culture of this tradition. The location is very pretty and the fresh scents could be smelt in the air. I surely recommend a visit. 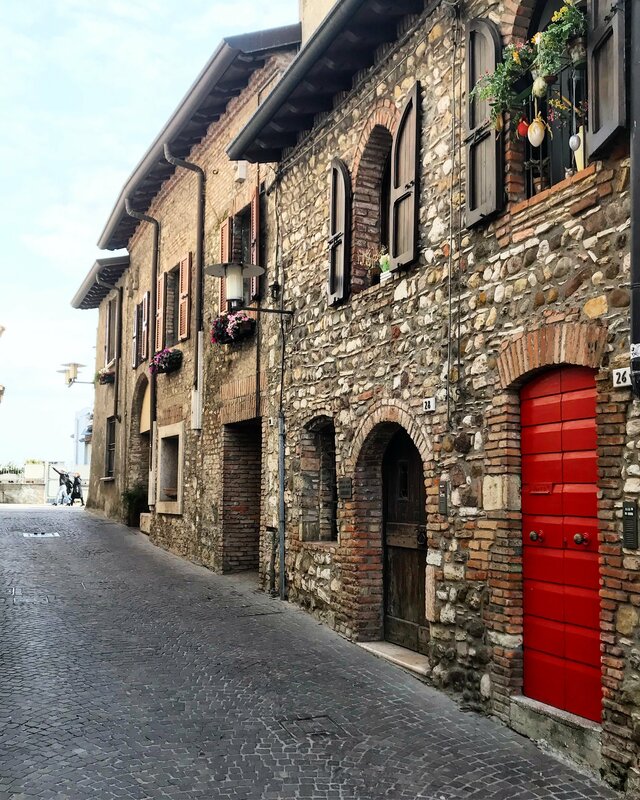 Tremosine is one the most beautiful borgo in Italy, located halfway between sea and mountain. Even if it is not located along the coast, the view is pretty gorgeous from here. 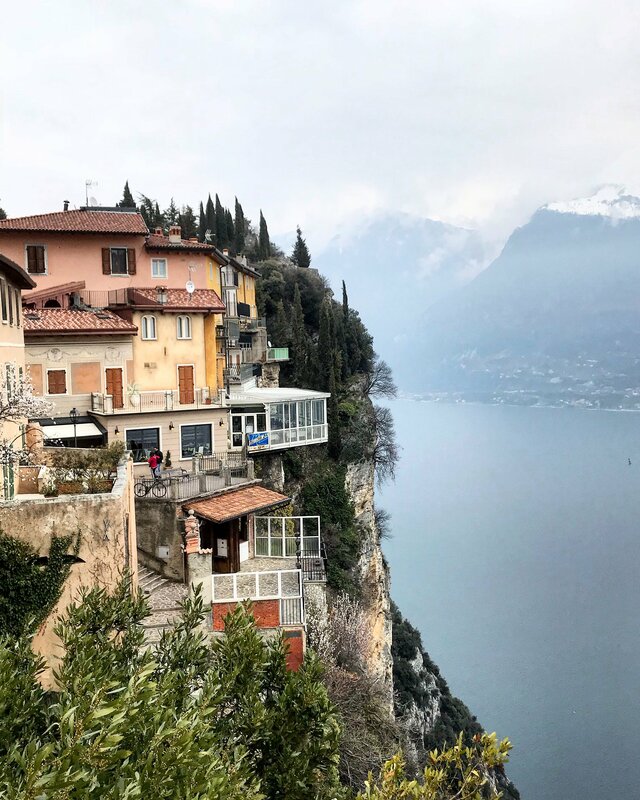 Riva del Garda is a little town located in at the bottom of the mountains and that’s why the background is very impressive. It’s situated on the North shore and here you can visit the city center and its narrow alleys with beautiful small shops and cafes. We ate in a very singular restaurant that offers various types of meat dishes. It’s a sort of a butcher’s shop with unconventional furniture. All perfect in every single details. Moreover the atmosphere is very welcoming, you feel like being at home and the food is very tasty! 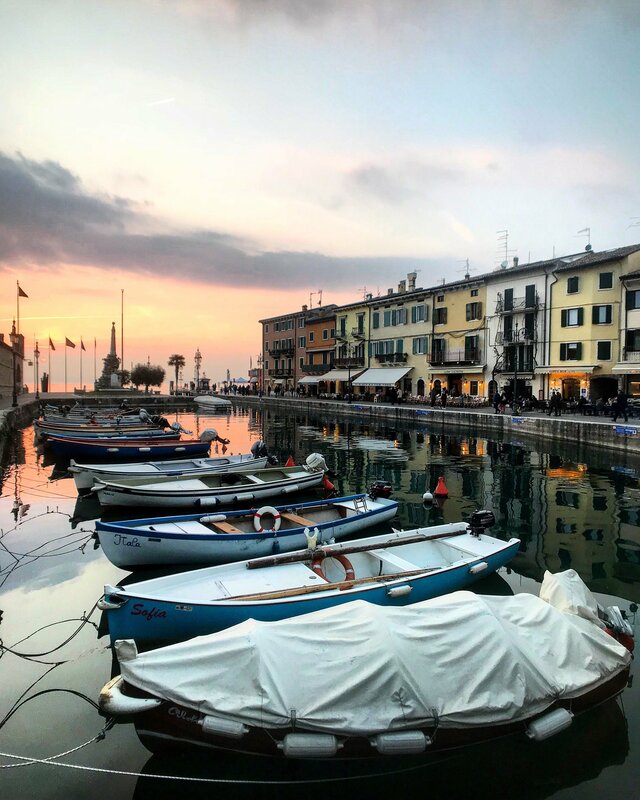 Many people consider it as the pearl of the Garda lake because of its picturesque setting and the pretty city center. Narrow streets, beautiful harbor and different small shops and cafes invite you to stroll around. 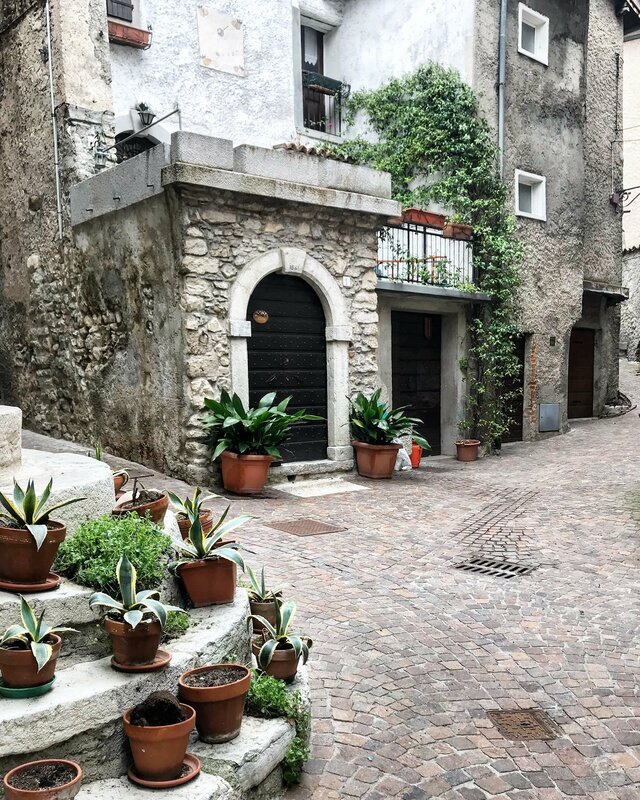 This is the hidden gem of the Lake Garda. Even if it is a hotel and a restaurant/bar owned by a very rich family, you can enter in the property and enjoy the sunset in this charming and relaxing spot. I sincerely love the port of this medieval town. Since the tones are really pretty, you feel like being in front of a painting. There is a castle and its fortified walls that can be visited to stress the magnificence past. All these embrace the old town center, full of shops and cafes. Lake Garda could be reached by plane, bus or train. 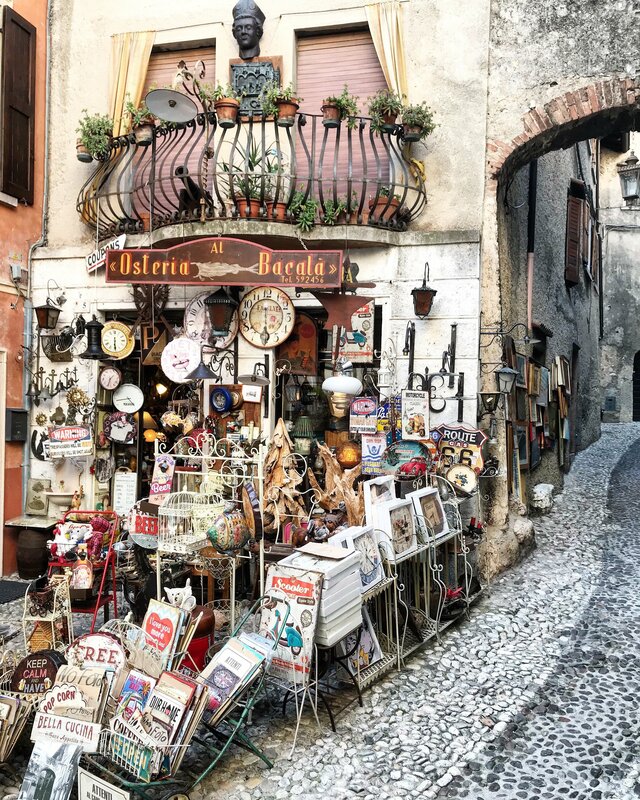 In fact, the nearest airport is Verona and from there you can take a bus or a train in order to get to the different cities. Regarding the best place to stay, you can choose between sleeping always in a central location or making a round trip. 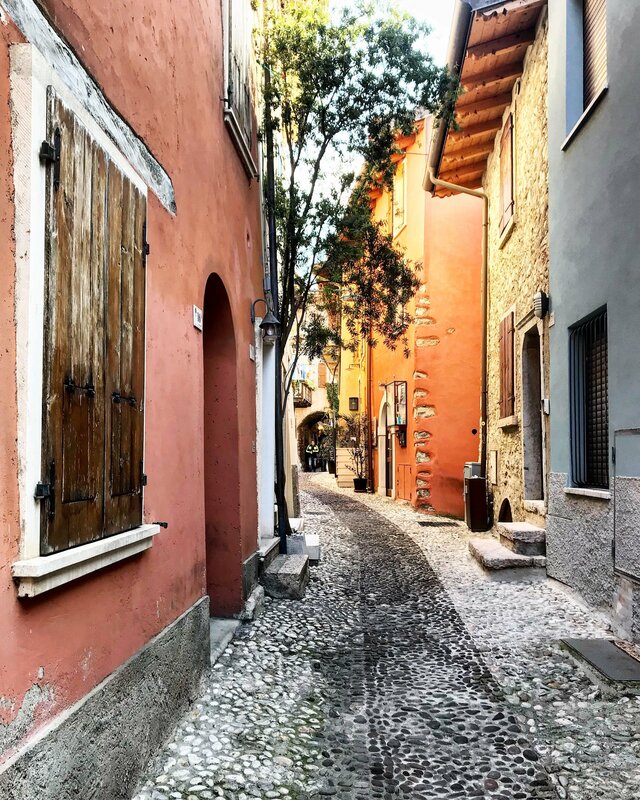 Round trip around Lake Garda is about 150 km but the streets are narrow and there is always traffic so you have to keep calm and visit a city or two per day is the best option. If you need other tips or advices, fon’t hesitate to write me below. 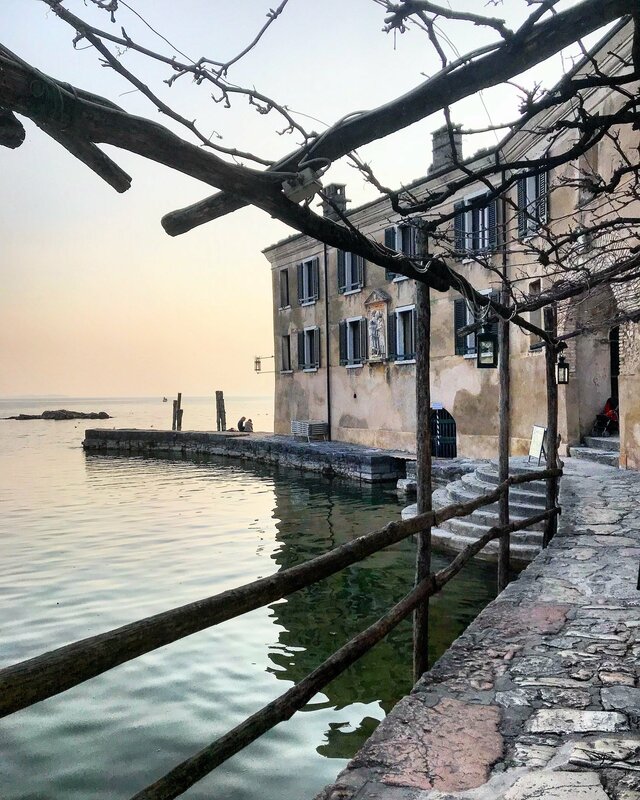 I love Lake Garda but I love even more reading about these towns around it! 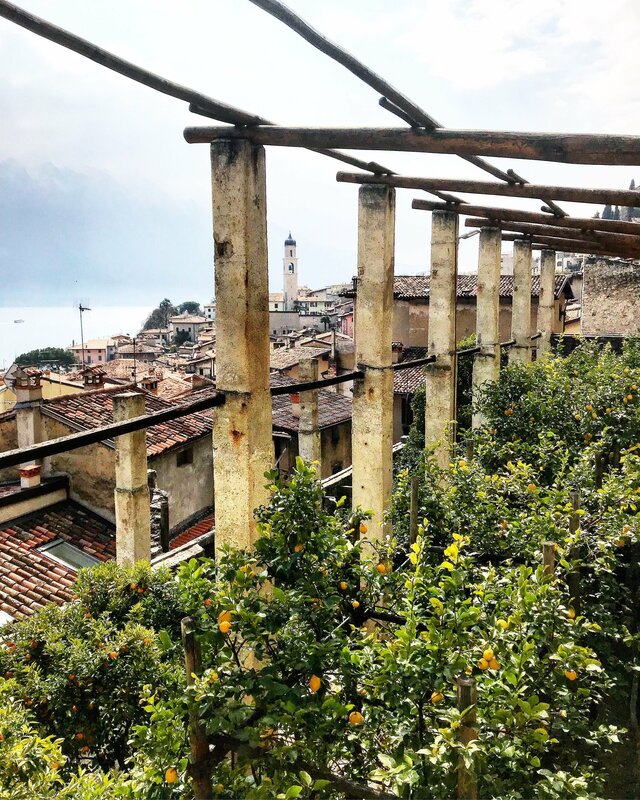 Limone sul garda is so pretty and I bet those lemons are used in so many dishes! WOW! The pictures alone make me wish I were there. They make me feel like I already am. Amazing post and photography skills. I really loved the picture you took of the arch in Punta San Vigilio. But each of the cities look like they all have their own beauty. Thanks for this guide! I didn’t know all about these towns. wow, your pictures are stunning! Will definitely have to check out this part of Italy in the future! I love the lake, especially where the mountains seem to rise out of the water. Gorgeous! Your photos are absolutely beautiful, I can’t stop looking at them! 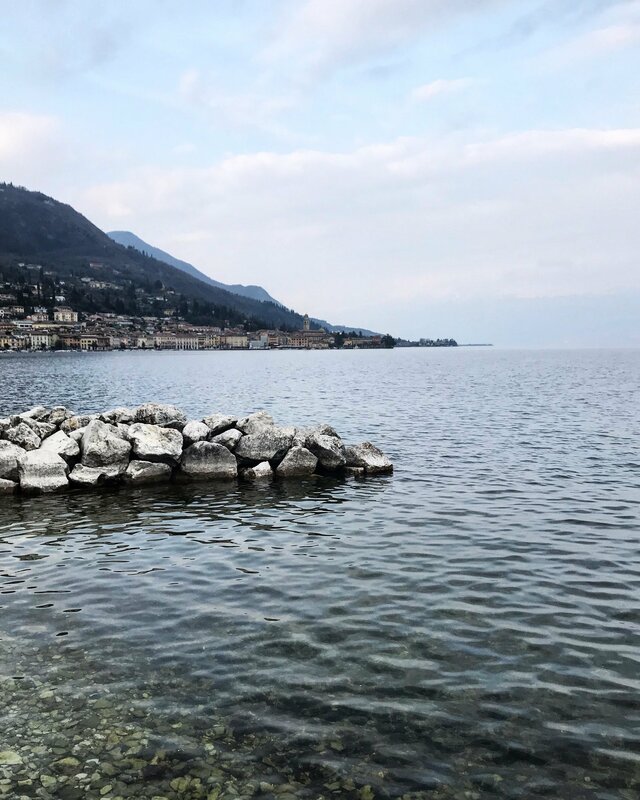 I lived in Italy for a while during University but didn’t visit Lake Garda in fear of it not living up to the high expectations I had, and being too touristy. Reading this, I think I definitely made a huge mistake and should 100% book a trip back to Italy! Love the photo essay style feed. Your photographs are absolutely stunning. 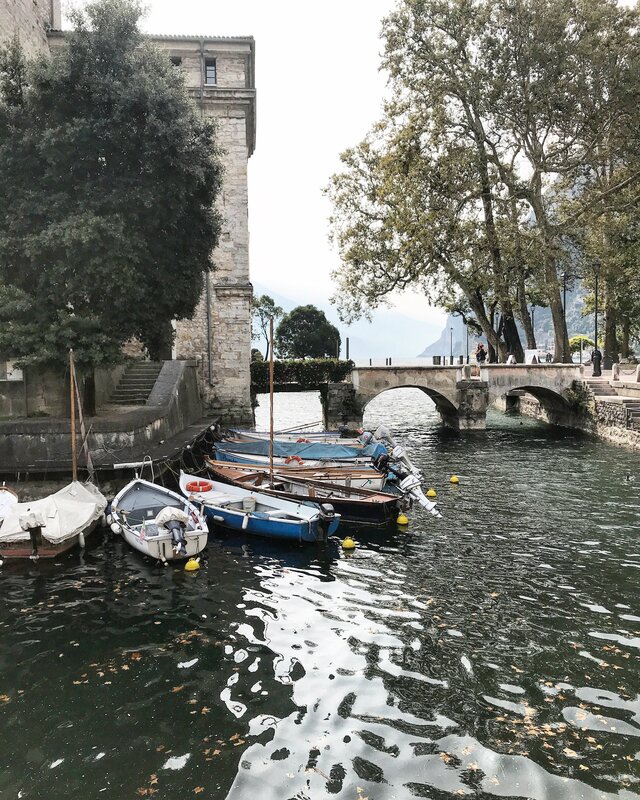 Visited Italy but haven’t been to Lake Garda as yet. Hopefully the next time! All these places you have recommended boast picturesque natural landscapes and/or medieval cobblestone roads reminiscent of the olden days. 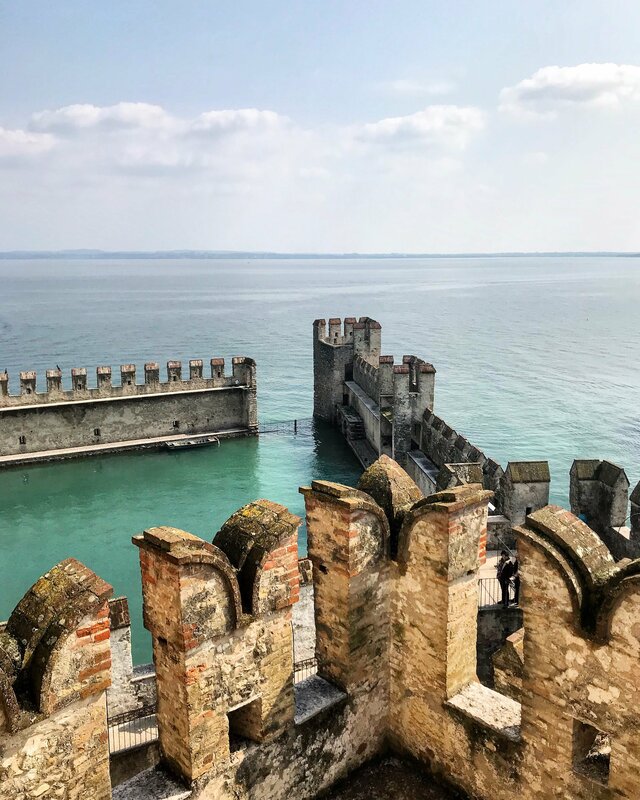 I’d love to go explore Sirmione especially as it looks so beautiful! All of the 8 places look gorgeous. How many days would you recommend to visit all them? If you want to take it slow, maybe 5 days or a week would be great because you will have also time for relaxing and resting a little bit. Moreover, you can enjoy the beaches there if you are planning to visit during the Summer. 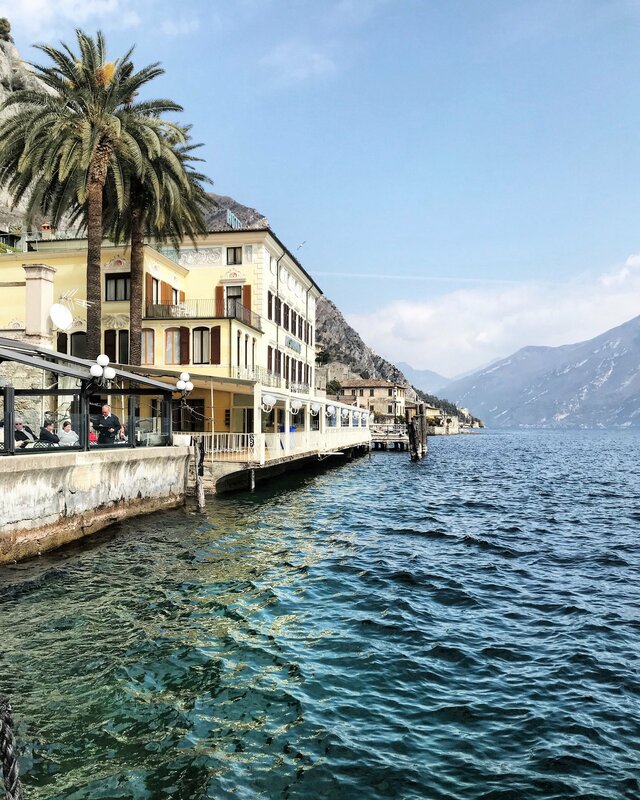 Can see why you’d fallen in love with Limone’s water scenes. The lemon trees are beautiful as well. I’ve always wanted to visit Italy so for sure bookmarking this. Thanks for the lively recommendations!